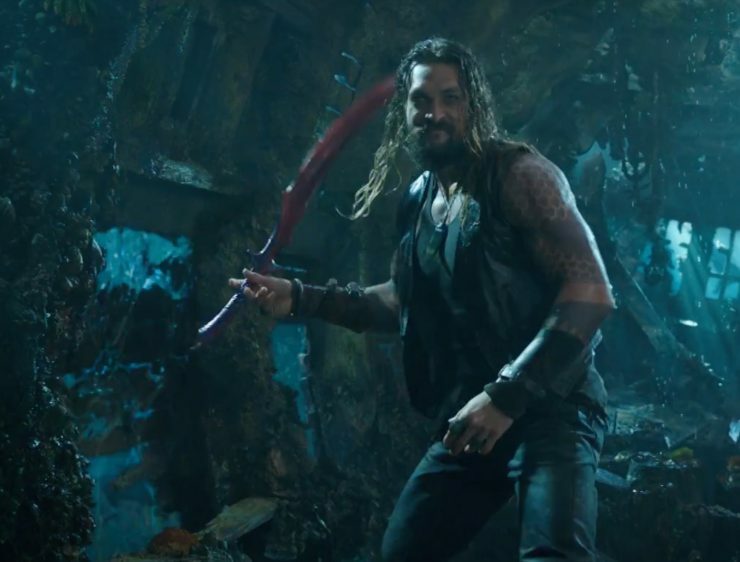 James Wan’s Aquaman Makes Massive Cinematic Splash! Since its late December debut, Aquaman has made cinematic waves as the latest film outing from DC and Warner Bros. 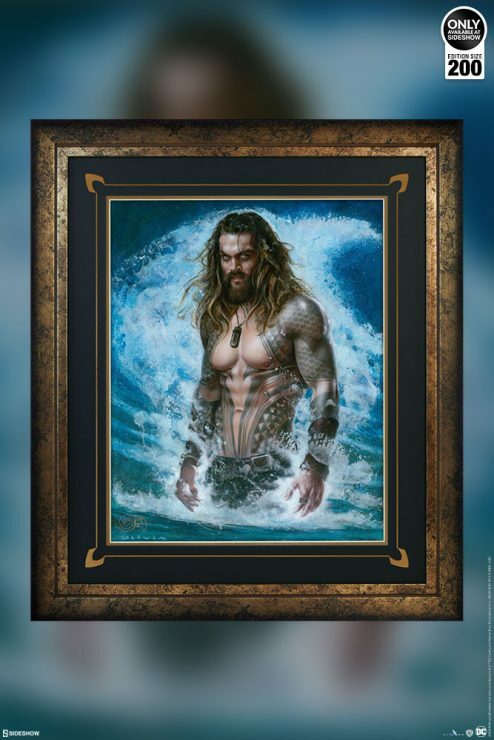 Check out Sideshow’s inside look at this epic Atlantean adventure from James Wan! 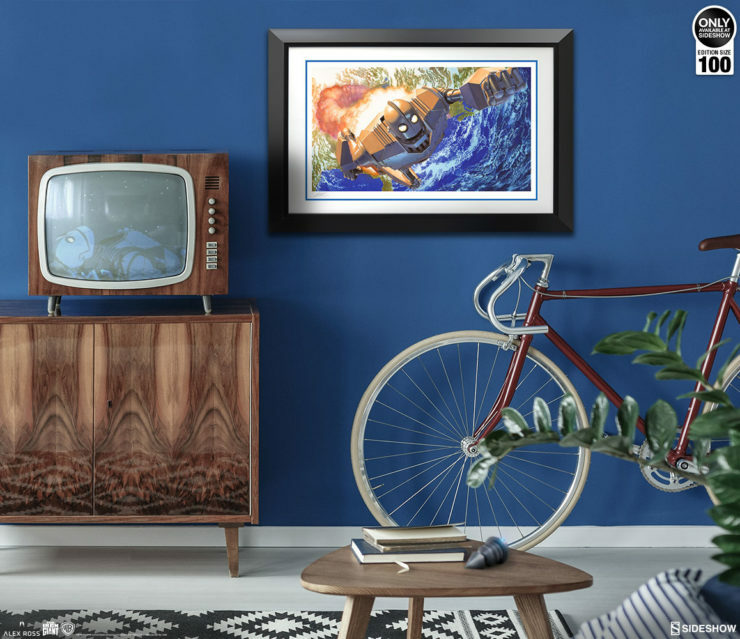 Bring Aquaman aboard your collection with this new fine art print by acclaimed pin-up artist Olivia De Berardinis. 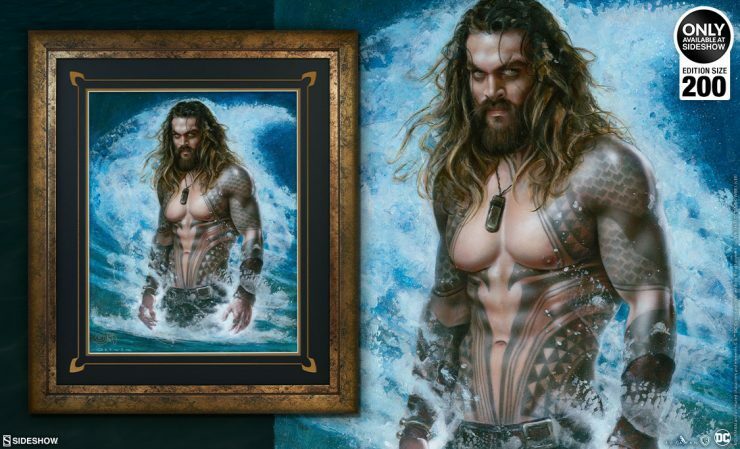 Inspired by Jason Momoa’s rugged and handsome appearance as the Atlantean hero Aquaman in the new movie! 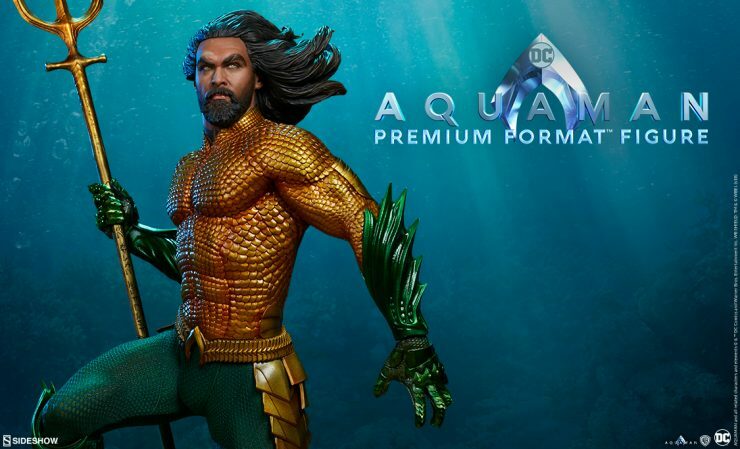 Sideshow is proud to present the Aquaman Premium Format™ Figure based on the likeness of Jason Momoa, inspired by James Wan’s epic cinematic vision for Aquaman. Pre-orders begin on Thursday, December 6th. 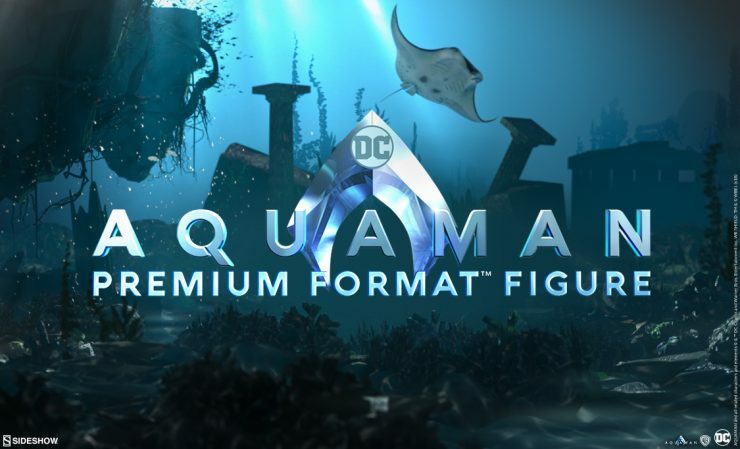 Sideshow is very excited to announce the Aquaman Premium Format™ Figure! 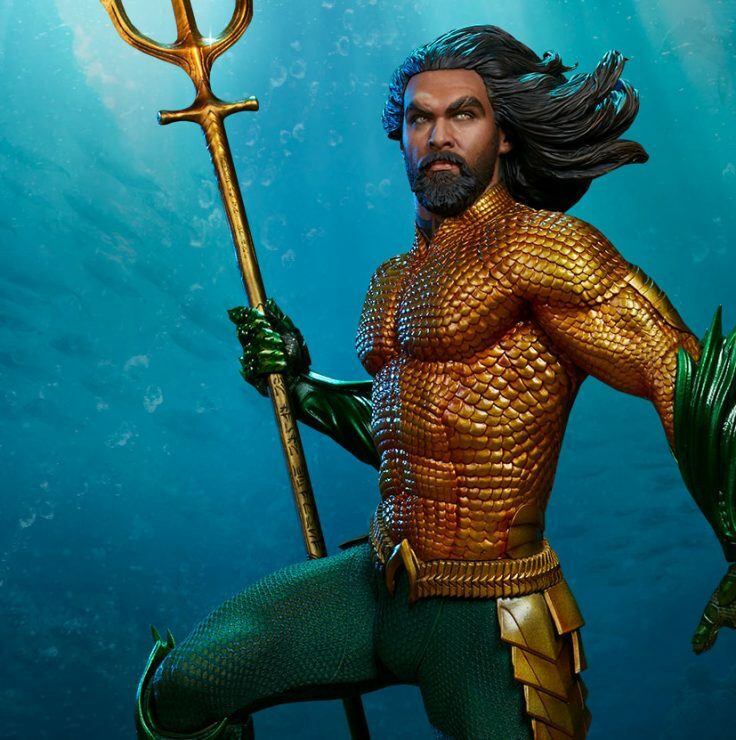 This DC Comics collectible captures Jason Mamoa as King of Atlantis and superhero from the upcoming Aquaman film! Swim your way onto the RSVP now to receive updates on this Maquette! Poll- What Was Your Favorite NYCC New Product Reveal? Take our poll and tell us which was your favorite new product reveal from NYCC? From Aliens to Aquaman to Aspen and more, we debuted tons of brand new figures coming soon from Sideshow! Jason Mamoa takes a close look at the Aquaman Premium Format Figure! Aquaman star Jason Mamoa was able to get a closer look at the new Aquaman Premium Format™ Figure while attending NYCC. His reaction on Instagram, “It’s me” just made our day! Warner Bros. Pictures just released a new trailer for the upcoming film Aquaman! 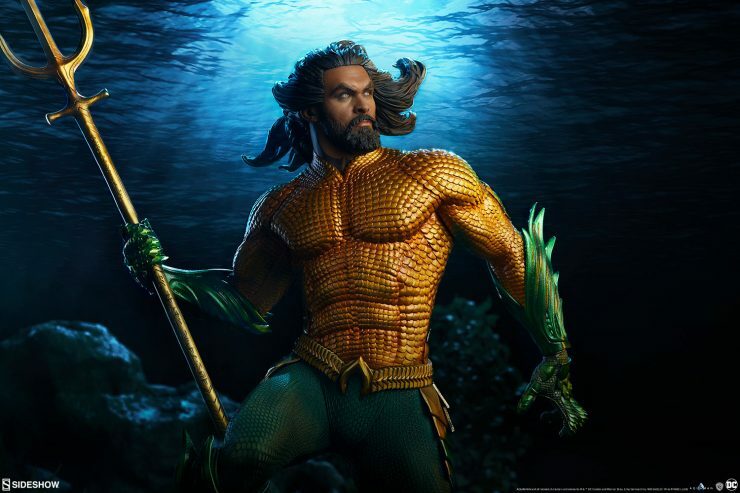 Based on the aquatic superhero from the DC Comics universe, and starring Jason Mamoa in the title role, Aquaman will be sure to delight fans! 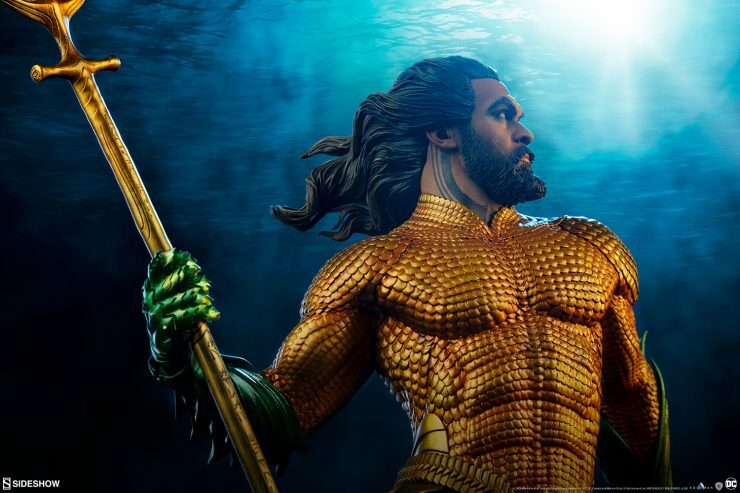 Aquaman Premium Format™ Figure to Debut at NYCC! Sideshow is proud to unveil our new Aquaman™ Premium Format™ Figure inspired by the upcoming Aquaman™ movie. Fans will be able to see the piece in person at NYCC Booth #1912!